we will work to understand your business needs and create a system in line with your current practices. There are many benefits to a business in gaining ISO certification. This can assist your business by improving efficiency, providing consistency, boosting profit margins, customer satisfaction, performance optimisation and assist in a tender process or gaining and retaining business. Many businesses who apply to tender require this certification so gaining an ISO certification will enable your business to participate in More tendering opportunities. An ISO certification also opens the doors to global contracts as overseas clients will recognise the standards to which you operate. Your quality management system will be created using the Plan – Do – Check – Act approach providing factual evidence relating to each of your processes which are regularly reviewed and improvements planned and implemented. ISO14001:2015 – Environmental Safety Management. ISO45001:2018 – Occupational Health and Safety Management System. If you are looking for a different ISO certification we can still assist you and your business in delivering this. Performance optimisation through best practice methodology. Build a quality supply chain to ensure high standards. Drive customer focus throughout the organisation. Increase business opportunities within the market place. 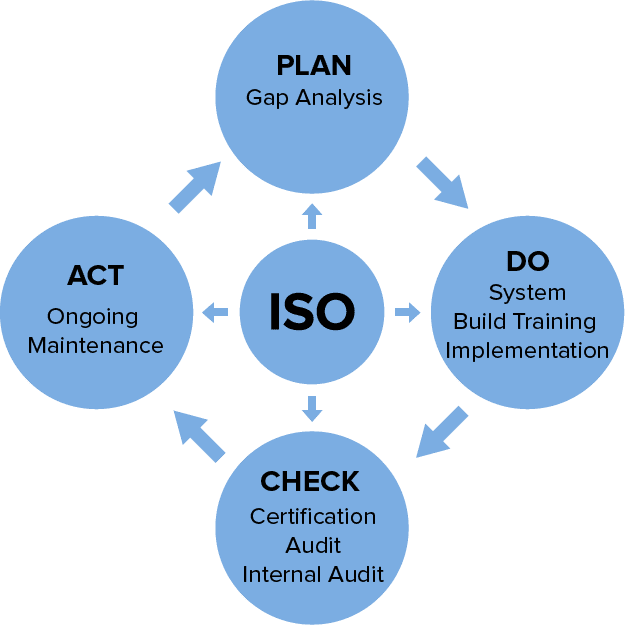 An initial Gap Analysis is conducted to identify the Gaps between the current infrastructure and any Management System in place against the requirements of the standard. Our consultants will devise a system based around working practices in place to create consistency and implement effective KPIs to optimise performance. Your skills and knowledge will be developed through an interactive and practical approach. This ensures that employees have an understanding of the benefits of these change. As well as the knowledge to contribute to the success of your Quality Management System. 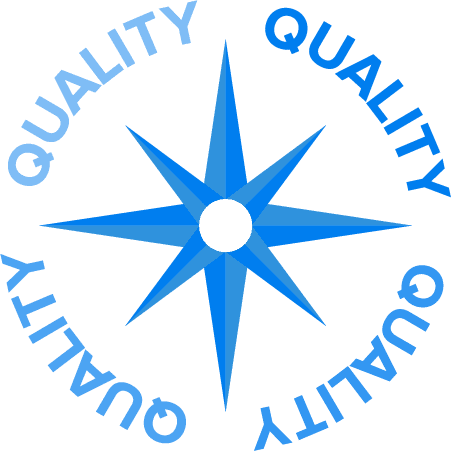 Our experienced consultants will work with you and fully support you through implementation of your Quality Management System. HR Services Scotland Ltd will conduct a series of Internal Audits to fully test the System and identify Gaps prior to your Certification Audit. Our consultants will visit your business each month to ensure that your management system remains effective . This is done by completing an Audit and Report for you in regards to any corrective actions ensuring the continued success of the system. At HR Services Scotland Ltd we have a qualified team of commercial consultants who deliver bespoke consultancy, quality management systems and support (ISO certification) to clients varying in size and industry. With their many years of experience, as well as IRCA registration, our consultants work hand in hand to support clients through the ISO certification process. Many businesses ask the question “why should I use an outsourced company to gain my ISO certification when I can employ a full-time quality manager”; the answer to this is very simple. HR Services Scotland Ltd can save you time, money and business resources which you could have invested in recruiting a full-time quality manager to gain this certification. We can provide as much or as little assistance that you require to support your business through the process from beginning to end. If you would like more details or to make an appointment to start your journey to ISO certification then please contact us to discuss.